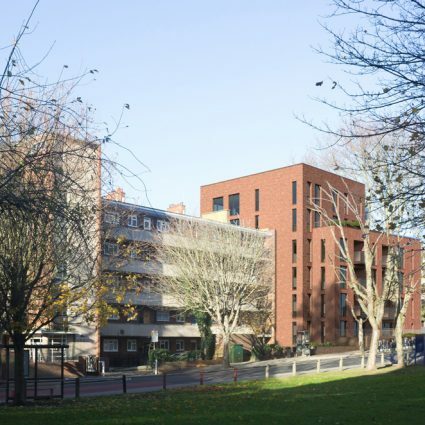 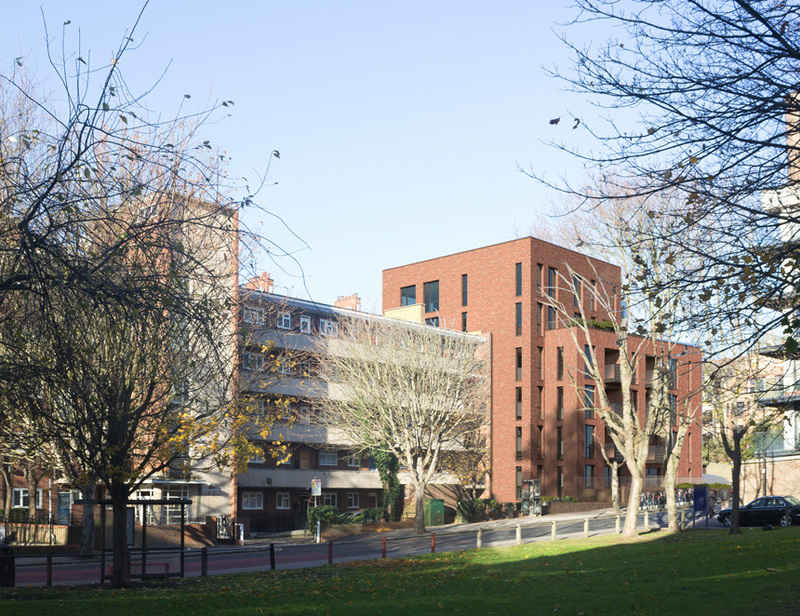 Lowder House is part of a London Borough of Tower Hamlets initiative to provide new housing by redeveloping infill and corner sites in their own estate, then managing them as 100% affordable housing. 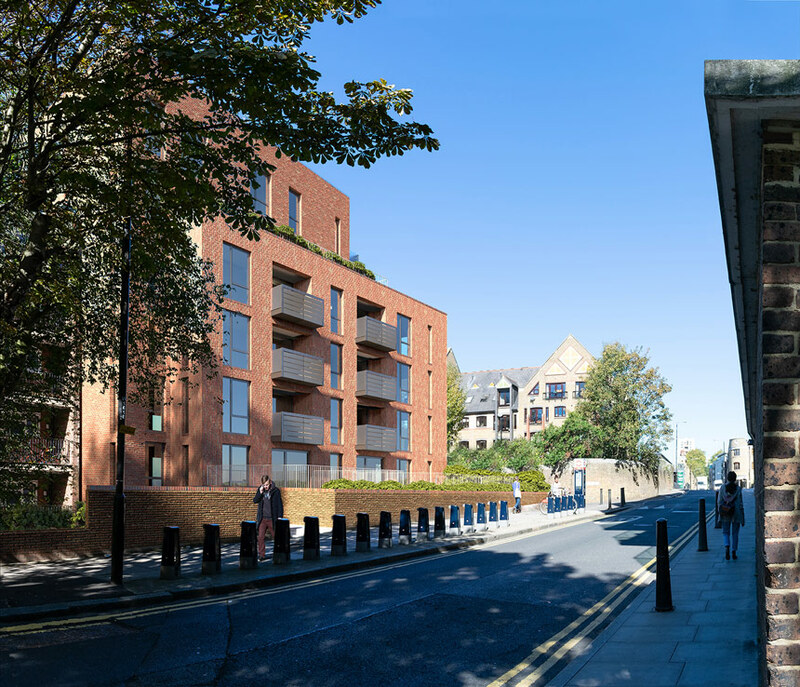 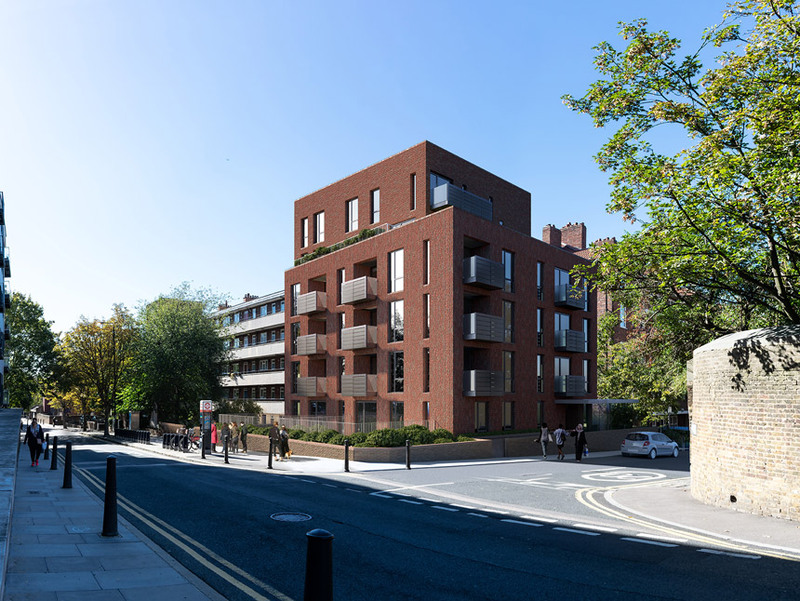 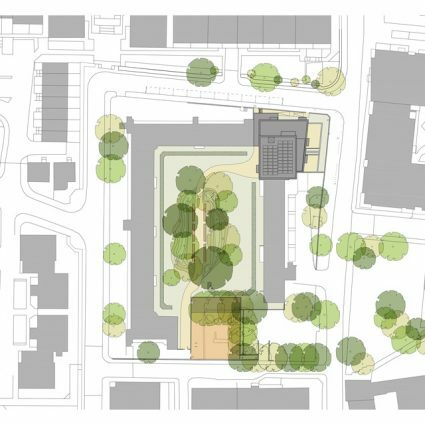 The project proposes redevelopment of an existing garages site, which occupies a street corner in Wapping between two existing Council blocks. 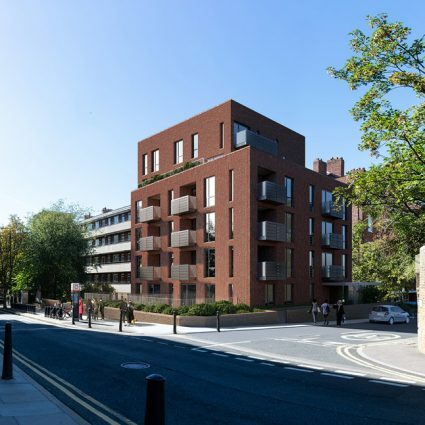 It accommodates 18 new homes of 1, 2 and 3 bedrooms with wheelchair-accessible housing and new landscaping at street level. 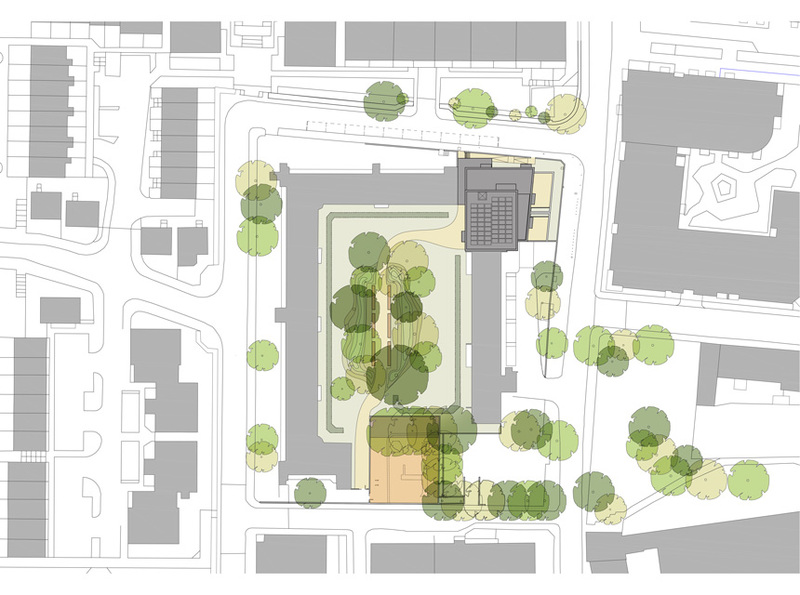 The design is intended to complete the street corner, and is massed to align with the faces of surrounding buildings. 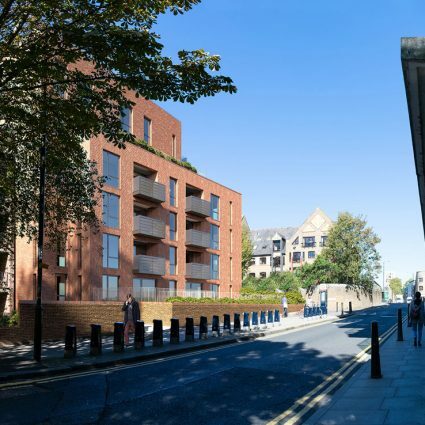 Whilst the architectural treatment reflects its time and residential use, it also refers to the historic wharf buildings, typical of Wapping with muscular simple blocks and repetitive, stacked fenestration.